Red Diamond Handle. 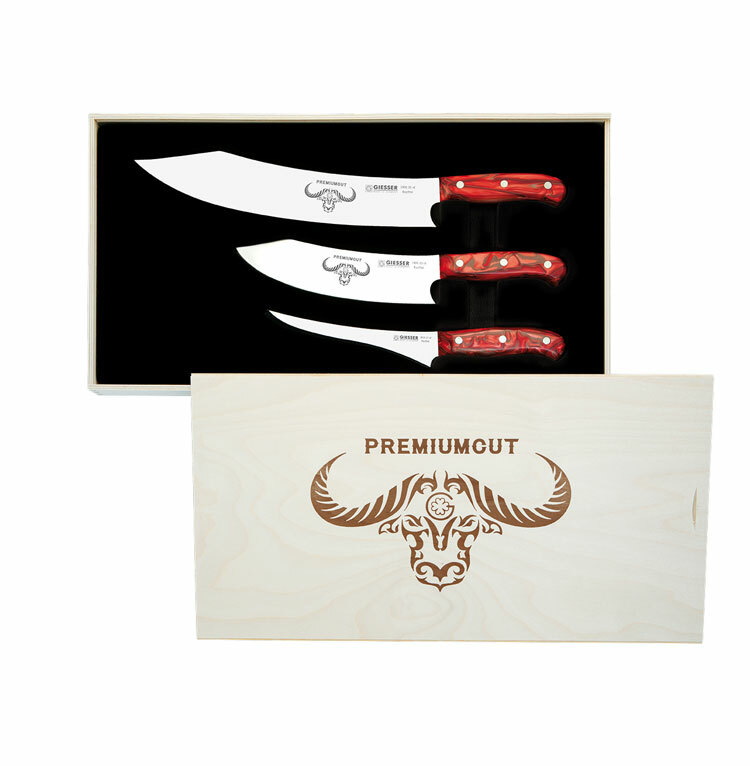 Set includes: Barbecue Knife No 1 (11 3/4" blade), Chefs No 1 Knife (7 3/4" blade) and Fillet Knife No 1 (6 3/4"). The impressive design gets our hearts pumping. Red Diamond will take your breath away: The special manufacturing process creates one-of-a-kind handles, each one unique. Fire, meat and Red Diamond – what could be better?